AGGORA is a leading provider of catering equipment solutions to the foodservice industry. We offer a national service covering every aspect of your catering operation – from designing and planning your kitchen or retail space, to supplying and maintaining your equipment and helping you manage your budget. We have a network of over 120 industry qualified catering equipment engineers positioned across the UK. From planned maintenance to emergency repairs, we are on hand to help your catering operations run smoothly. 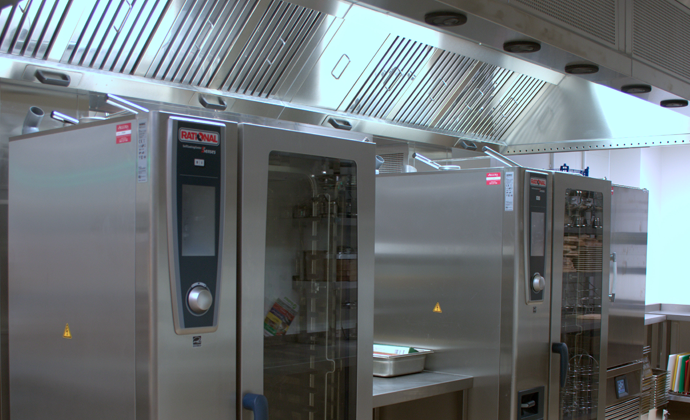 With more manufacturers moving into the UK industry each year, we can provide clear advice on the most suitable equipment options and specifications for your cooking, refrigeration, preparation, warewashing and ancillary product requirements. From design to build and project management, our Interiors division can help you create a food service space that hits the mark both practically and aesthetically. Our Brands division are experts in project managing the fit out of catering and retail outlets into hospitals, universities and MOD sites. I would just like to say a very heartfelt and a very big thank you for all your help and assistance today both at Bay Primary and Headlands, where we had Christmas lunches on the menu today. Thanks to your fast response and greatly appreciated knowledge and assistance, lunch was on time and thoroughly enjoyed by all the 300 primary school children at Bay Primary. It is not often enough we have cause to compliment people for good service, but the gent who came and fitted the unit at the Somerfield dealt well with the installation of the unit, did not waste time in the installation and left site clean after works. He and his team were professional and able to deal with any situation they came across. Well done. The best things about dealing with AGGORA Technical are their can do attitude and ability to get things done. From going out to survey sites with very short notice to fixing equipment where other companies have quoted to replace costly components, they always go the extra mile. I am so confident of their service that I am routinely recommending them to my clients, something I do not do with many companies. AGGORA is used widely throughout our Estate and offers a swift friendly service from the initial call through to the site visit and beyond. Through all the challenges our business comes up with we have found AGGORA a strength in knowledge and service of our wide and varied range of equipment. AGGORA is a leading provider of catering equipment solutions to the food service industry. We offer a complete portfolio of services, allowing clients to meet all their needs from one trusted provider. We pride ourselves in bringing together our wealth of experience and 'can do' attitude to find and deliver solutions that will meet your requirements and budget. Across our divisions, we can help with everything from the design of your kitchen or catering areas, equipment supply and project management of your build or refurbishment - to supporting your operations with a maintenance contract and asset management.